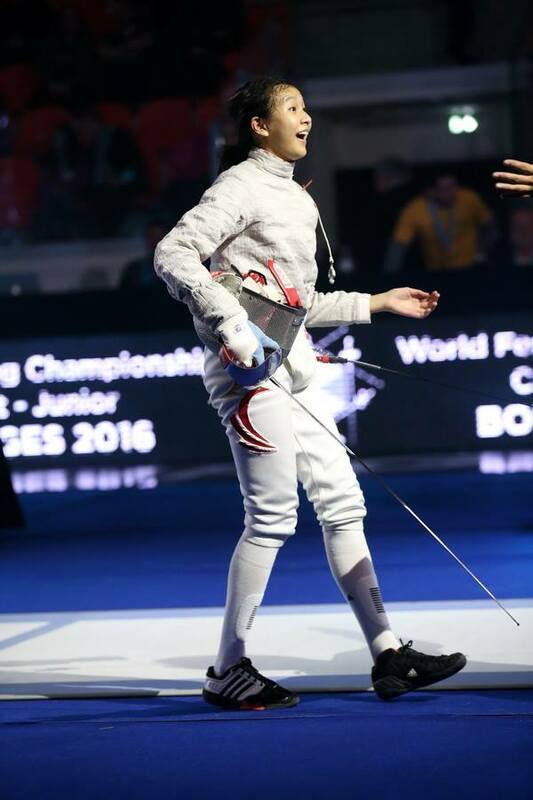 SINGAPORE - Lau Ywen won Singapore's first gold medal at the Fencing Cadet and Junior World Championships in Bourges, France on Saturday, after claiming the women's cadet individual (sabre) event. The 16-year-old emerged victorious 15-14 in a final against Germany's Larissa Eifler on day two of the competition. Ywen, the Republic's top female sabre fencer, earlier beat Hungary's Liza Pusztai (15-13) in the semi-finals, and Japan's Risa Takashima (15-14) in the quarter-finals. She had recently lost 13-15 to Risa at the Asian Cadet and Junior Fencing Championships in February. Jessica Ong, the nation's other representative in the event, bowed out at the round of 64 after a 7-15 loss to Mexico's Natalia Botello. Ywen's unprecedented achievement led to Minister for Culture, Community and Youth Grace Fu congratulating her in a Facebook post on Sunday evening. In the post, she said: "Congratulations to our Team Singapore fencer Lau Ywen for winning the World Fencing Championships (Cadet). She may only be 16, but Lau Ywen did Singapore proud by defeating her German opponent 15-14 in an intensive finals match, to become our first world champion in fencing. "Kudos to Lau Ywen and Fencing Singapore for flying our Singapore flag high. All the best to our cadet and junior fencers who are still competing in their respective events. Go TeamSG! Singapore had previously never won a medal at these championships. 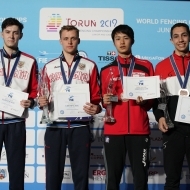 Ryan Ong became the third fencer to finish in the top eight of a cadet event, after he went down 4-15 to Russia's Kirill Borodachev in the men's cadet individual (foil) event. He is the third fencer to finish in the top eight of a cadet event in the championships so far, along with Amita Berthier, who bowed out in the women's cadet individual (foil) event on Friday, and Ywen. The competition, which runs till April 10, resumes on Monday with the mixed cadet team event.